The history of our church cannot be traced back to one exact moment in time. The first religious services in our area were led by Methodist itinerant ministers in various homes. Simon McVittie’s home on Concession 11, Lot 13 Hullett was one of these homes. In later years, a frame church known as McVittie’s Church was built on the McVittie farm. The date of construction is unknown, but the McVittie congregation ended in 1873 with many of the members attending Constance Methodist Church in Kinburn which had been built in 1870. The Presbyterians started to meet in a home in the mid 1800’s on Concession 11, Lot 12 Hullett. In 1857 they built the “Hill Church” across the road on Concession 10, Lot 12. It was given the name Burns Presbyterian Church. Then in 1859, Knox Presbyterian Church was built in Londesborough. 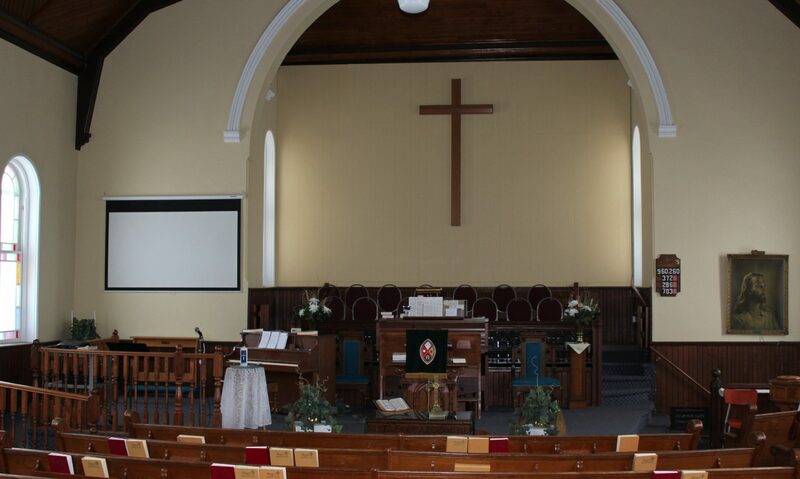 In 1876 Burns Presbyterian and Knox Presbyterian Church became a single pastoral charge with two churches. 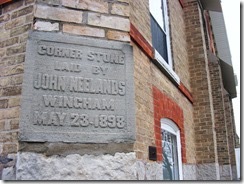 Ebenezer Bible Christian Church was built in 1857 west of Londesborough on Concession 10. This lot was purchased from Hugh Radford for one pound, five shillings by the Bible Christian congregation. In 1884 this church became Ebenezer Methodist Church as all Bible Churches joined with the Methodists. In 1896, Ebenezer closed and joined with Londesborough. The land for the first Methodist Church in Londesborough, on which our present church stands, was deeded on April 30, 1860 for twenty-five dollars from Thomas Hagyard to the Trustees of the Londesborough congregation of the Wesleyan Methodist Church of Canada. This lot consisted of lot D, the fourth from the corner of King and Main Streets. A frame church which served the Methodists for thirty-eight years was built on this lot. During this time, the minister of the Londesborough Methodist charge also served two other charges consisting of Constance Methodist in Kinburn and Ebenezer Methodist. In 1898 the frame church was removed and the present church building was built. The dedication service for the new church was held on Sunday, November 24, 1898. Total cost for the church was $5,500. The United Church of Canada was formed in 1925 with the Union of the Methodist and some Presbyterian Churches. Londesborough Methodist became United in 1925 and Knox Presbyterian Church in Londesborough closed and joined the Union on April 4, 1932. A three-point pastoral charge was formed which consisted of Londesborough, Constance and Burns until Constance closed in 1967 and Burns in 1969. Our church building structure remains basically the same as it was in 1898, although a ramp and a separate room for the heating system were added on the west side in 1993 and in 2004, an addition was built to the north. The kitchen and bathrooms were remodeled at that time and both a minister’s and a secretary’s office were added.